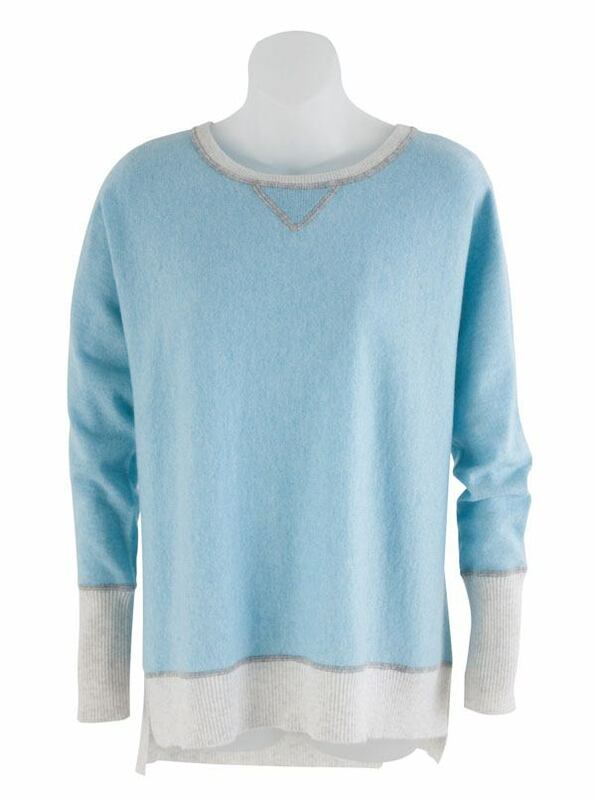 Belinda Pima Cotton Two-Tone Sweatshirt puts a little verve in versatility. With white contrast at shoulders and neck, side vents, ribbed cuffs. Knitted in Peru of soft pima cotton.